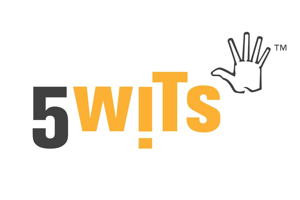 OutIn60 is a great option for Escape-Room seekers wishing to avoid the hustle of New York City. This “no-frills” establishment presents opportunities for corporate get-togethers, fun for friends and family groups, and even offers a chance for romance with their surprise marriage proposal option. Hoboken’s 51 Harrison St. is a bit hidden within a larger warehouse on a side street. The entry into the building requires a code which you receive upon booking your room. Keep in mind, checking the email prior to the day of your game can help avoid the calls up to get the code to find the location of the game. Once inside, you should note that there is no place to lock up your belongings so you might consider traveling light and that the office is on the warm side. (There is floor space within the room if you have some items you had to bring along). You also might want to bring your own water or refreshments because you will have to leave the building to grab a water or soda. One suggestion, geared towards those with longer waits, would be to have a few small table puzzles, or elements of entertainment for those who are not starting immediately. On the day of our escape, we were warmly greeted by the staff who briefly explained the escape game and told us a bit about the history of the rooms and the establishment. OutIn60 is fairly new to the area, opening with their seminal room, Pyramid Escape—a fairly ironed out room. The most recent addition is that of Insane Asylum, which is the center of this review, and the room that might benefit from just a bit more attention to detail. The story line is as follows: The nurses (your group) are watching an interrogation of a prisoner when a glitch in the security system occurs causing the remainder of the prisoners to be released from secure areas. If you do not complete the room within 60 minutes, the prisoners will find your location and you too will become zombie prisoners. Once the door closed, we were left with the task of finding the escape. The notable element of the rooms in OutIn60 is the use and design of the technology. Without revealing too much, the technology established in the rooms guides the players along the game by relying on prerecorded messages triggered by the pace of the players—a different response than the live game master approach used by other establishments. The cues are communicated via video, through text, and with auditory cues, which are successful at times, and can use some attention at others. In some instances, our players felt that there were too many cues that were misleading because we were past that specific point in the game. Or, the audio was difficult to hear amongst our team chatter. Additionally, the cues felt overwhelming at times in the sense that they were frequent. Considering these minor preference choices, such a method would be beneficial to novice escape game players who might rely more heavily on these kinds of guide methods. The look and the feel of the rooms is mixed. The spirit is captured on the surface level, while at times requiring a suspension of disbelief from the players which can influence the level of immersion. There were quite a few props that assisted in setting the scene of an insane asylum, and yet, there were others that felt somewhat out of place. Technology was at times inconsistent with a particular time period plus some props and books had no connection to the story. The rooms may benefit from elevated scenery more consistent with continuity so that it feels more like an asylum and less like a puzzle room with an office motif. We also think it would be nice if some of the building’s structure were hidden a bit better. Concerning puzzles, there are a great deal of puzzles that are suitable for both large and small groups with a range of skill or ability. Many escape rooms rely on only analog puzzles or only technology and at times, those rooms become one-note. This particular room relied on a great number and variety of puzzles so even if there was a larger group, there would still be plenty for small coalitions with varying skill sets to solve as the game progresses. The most major sticking point in Insane Asylum that detracted from the overall experience was the inconsistency with which the puzzles were solvable. Because the room is newer, we suspect that some of the glitches will be worked out in time. But in our game we experienced mechanisms that locked us out unexpectedly which resulted in long delays. We also experienced props that were difficult to open, causing players to back away for fear of breaking some element of the game. There were also instances where broken panels lead players to pull and poke at mechanisms that were actually controlling the elements of the puzzles. These are details that can be easily solved with some attention from the owners, but at the moment greatly detract from the experience. On the whole, Insane Asylum has fantastic potential. Our team decided that while this room is a bit rough around the edges, there are clearly moments of the unexpected that lend to a novel experience even for seasoned players. 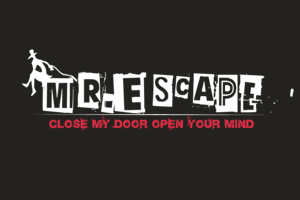 As escape rooms go, the owners and creators have clearly put in a great amount of effort, passion, thought, and creativity to the game and with just a bit more attention to detail, this game would be exceptional.